It’s Valentines weekend! 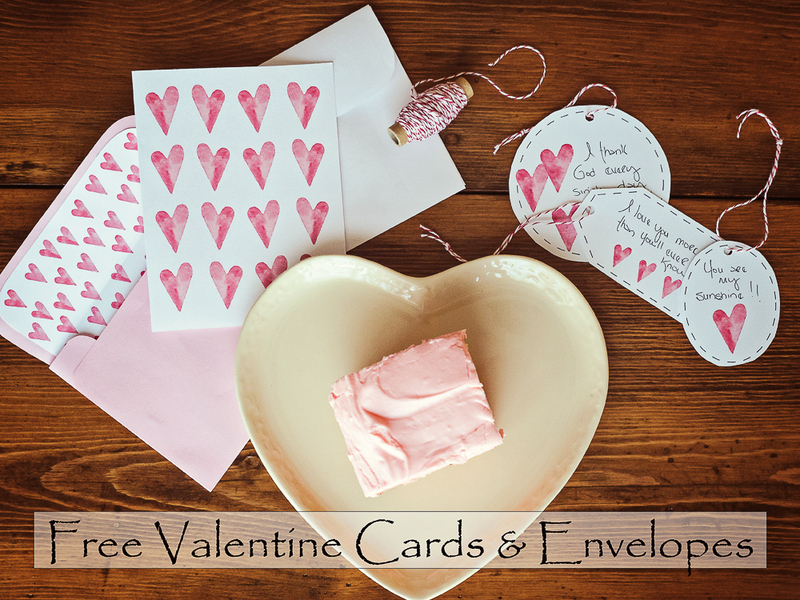 We’re sharing a last minute, super easy printable Valentines card. 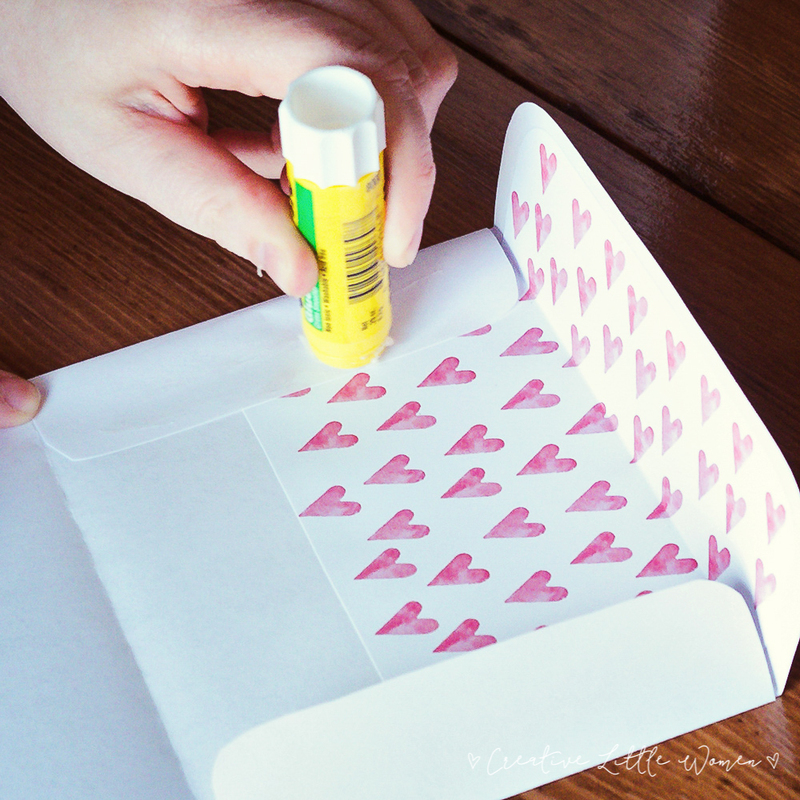 Gracie water colored a few hearts for me & I turned them into an easy last-minute card. Just print them out on some card stock (you’ll get 2 cards per sheet). 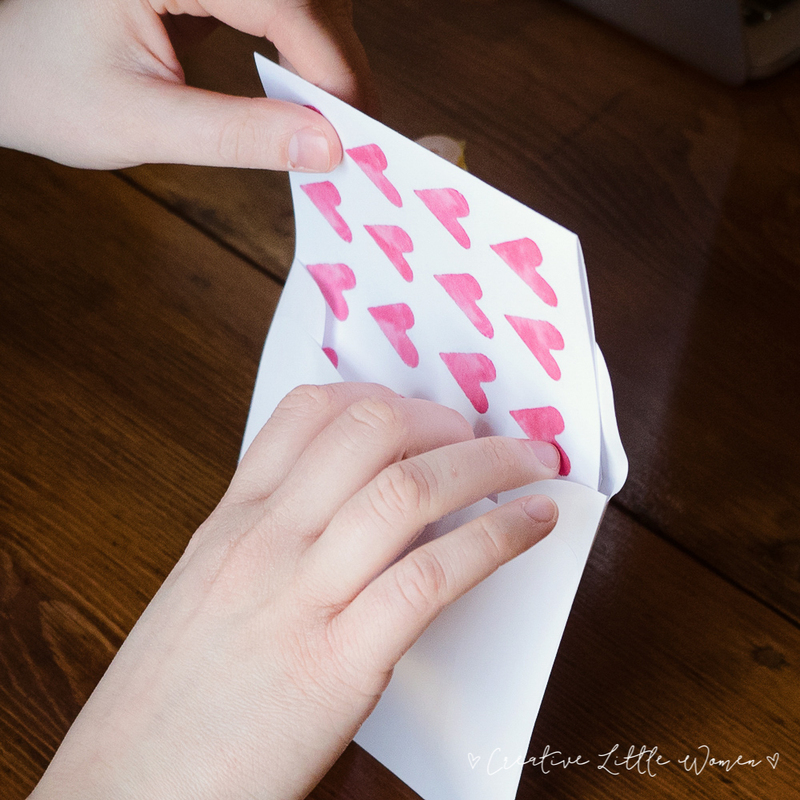 You can even print out the envelope template & envelope liner along with some cute little gift tags if you want to get extra fancy! I find that holidays, even Valentines Day, can often cause added stress. I struggle with OCD, (obsessive compulsive disorder). I’m not talking about a mild struggle that we often hear people joke about. It’s something I’ve battled since I was a small child, before it even had a name. God has brought me so far, but in some seasons of life it likes to rear its ugly head more than others. Holidays tend to be one of those ‘seasons’. I start battling thoughts of needing to ‘do’ more, finding just the right gift, or wanting to cook an amazing dinner presented in special way. If I’m not careful I begin to obsess over the ‘doing’. I need to remind myself more than ever that loving big doesn’t need a price tag & I don’t need to run myself ragged while doing it. Loving big is simply showing the people I love just how much I love them, & that can be done in little ways. Speaking their love language, whether spending extra time with them, hugging them extra tight, or taking time out to play their favorite game. It might even include making a favorite meal, but being sure that I serve it in a loving environment, even if it’s on paper plates & in a not so cleaned up kitchen. Don’t get me wrong, doing something extra special can be wonderful at times, but I function best when I focus in on simply loving well. I hope that you enjoy a Valentines day filled with loving well, as well as knowing just how loved you are. I love it, invisible streamers! What was his response?! I feel your pain, I am horrible at remembering Bdays!! !